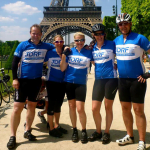 Join the London to Paris Bike Ride with More Adventure! 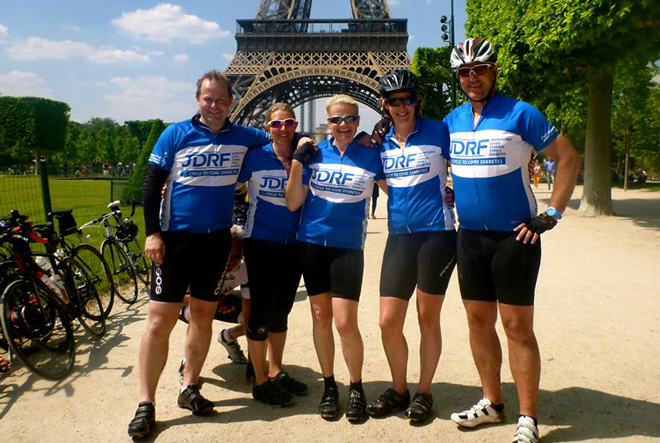 London to Paris Bike Ride – cycling 275 miles from one iconic city to another, all in four days. It’s a wonderful feeling heading down the Champs Elysees on the final stretch with the Eiffel Tower looming ahead! This is a fantastic group cycling experience, whether individually, with friends or whilst raising money for charity. We do not require sponsorship for this ride and by paying a small deposit, you can secure your place on one of our open trips below. Please scroll to the bottom of this page to view our open trips, or alternatively get in touch if you have a small group of people who may be interested. Book your place now! Check out some videos from previous trips here. 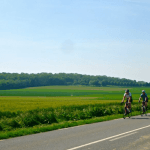 Cycle from London to Paris in four days – an epic journey of 275 miles through southern England and Northern France. 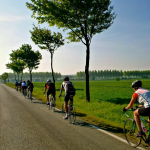 This is a fully supported and guided trip between two iconic capital cities and begins in Blackheath where you’ll cycle south-east into the Garden of England, Kent. 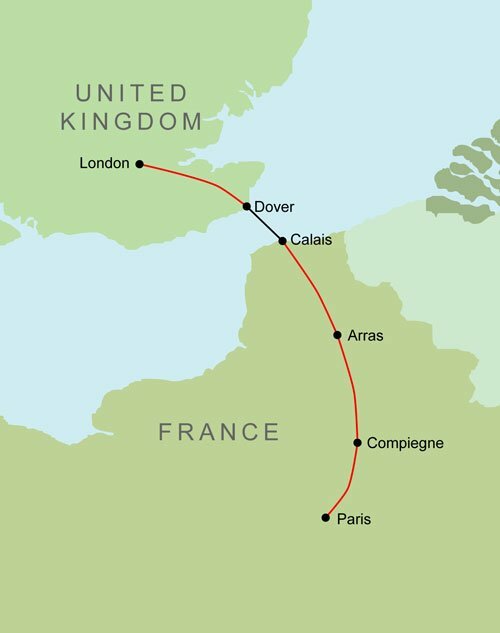 We then catch a ferry from Dover to Calais where we spend our first night. 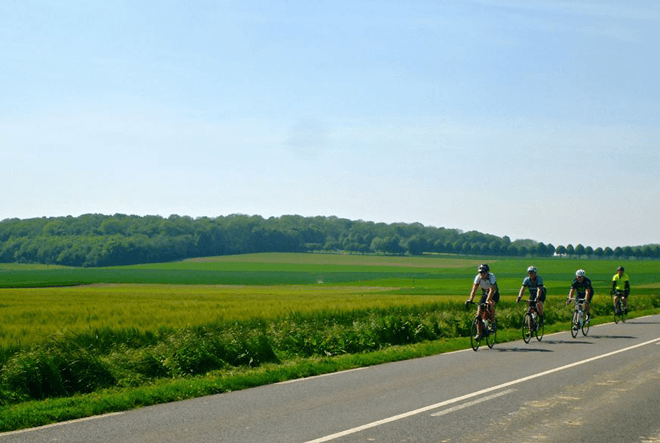 Over the next three days you’ll cycle through quintessentially French countryside, quaint villages and beautiful roads to one of the most romantic cities in the world, finishing up under the legendary Eiffel Tower. After a celebratory meal on Day 4, we’ll spend a night in Paris after which you’ll have a day to spend sightseeing in this incredible city. In the afternoon of Day 5 you’ll catch the Eurostar back to London where you’ll be met by the More Adventure team with your bicycles and luggage. There is no minimum sponsorship on this trip, if you are raising money for a charity that is fantastic and we can assist you with that however, if you just want to ride for the experience then book on, turn up and ride! For some videos of previous trips, please click here. Single room option is an additional £190 which can be added upon booking. We meet at Blackheath Common at 07:00am and after a short cycle through the outskirts of London, our route passes along country roads then through Rochester and Canterbury, before meeting our ferry in Dover. We will arrive at the ferry for a late afternoon crossing to Calais. Dinner can be purchased on the ferry. 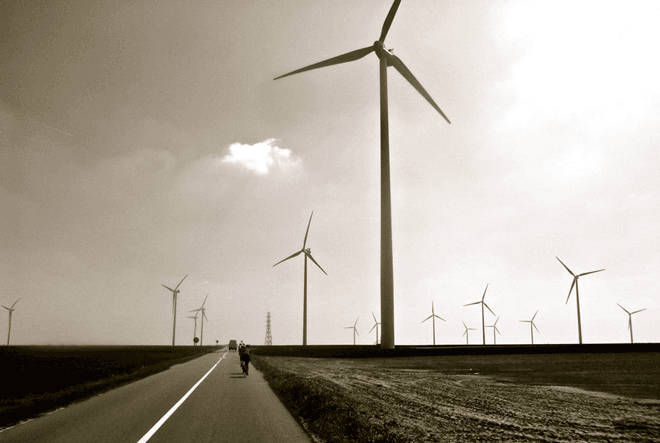 Once in Calais it is a short cycle to our hotel for a well-earned rest. 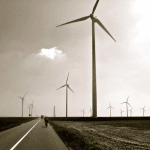 After a good nights’ rest we begin our second day cycling through the picturesque region of Pas-de-Calais. Numerous War Cemeteries echo the area’s troubled history but today much of the land is now used for agriculture. There are a few hills but nothing too strenuous. Our overnight stop is in the historic town of Arras, which survived front-line action in both World Wars. Heavily damaged in the Second World War, much of it was rebuilt in the aftermath, and the cobblestone streets, fantastic squares and white stone buildings are, quite simply, delightful. We head directly south along small country lanes, most of them undulating with few serious climbs. 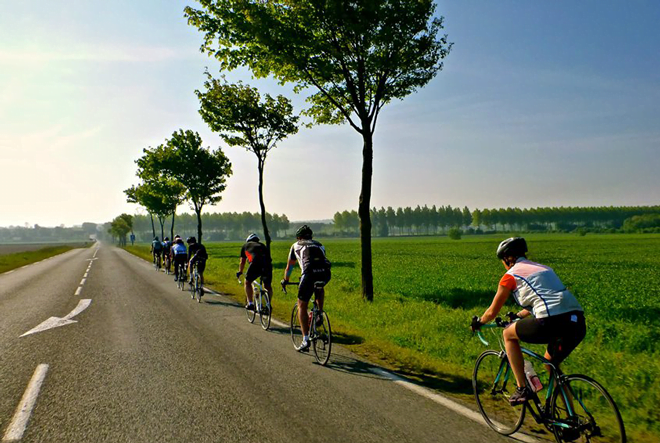 We cross the Somme River today and cycle through an area rich in nature and wonderful food. 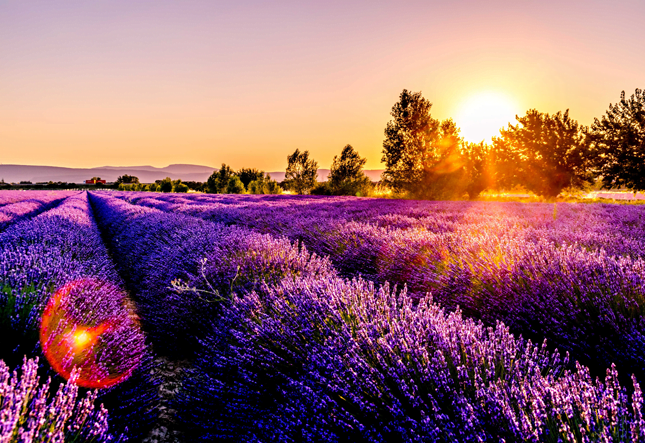 Our destination for the evening is Compiègne which is located alongside the Oise River. Compiègne Forest is famous as the location of the signing of two wartime armistices and the spot where Joan of Arc was captured. It is also the start of the famous Paris-Roubaux cycle race! It’s a relatively short final day into Paris. There are a couple of short, steep climbs but by now you will be ready and prepared. Skirting around the Compiègne Forest, we head for the northeast corner of the city. As we enter the city the roads become considerably busier and great care must be taken. Heading into the centre of Paris, we pass the famous Arc de Triomphe, down the cobblestone Champs-Elysées before finishing under the Eiffel Tower for our all-important photos. Well done, you’ve made it! From here, we’ll make a short cycle to our hotel and prepare for our celebratory meal. Today, you have the morning and afternoon to explore this wonderful and diverse capital city. Highlights include a trip up the Eiffel Tower (not for the faint-hearted! ), sampling some local cheese, visiting Le Louvre, a boat trip on the Seine, or simply a stroll (walking, not cycling!) around the atmospheric streets. You will have now received your Eurostar ticket for your journey home, and are responsible for getting yourself back to London. Your Tour Leaders will meet you at St. Pancras station in London with your bicycles and main bags in the late afternoon. We then say our goodbyes and the trip ends. Do you transport our bicycles back to London? Yes. On the final day the More Adventure team will drive back to London early with your bicycles and luggage. They will meet you off your Eurostar train at St Pancras station in the evening to hand your bicycle and luggage then we say our goodbyes and the trip comes to an end. Will we have time to explore Paris? Yes. On the final day you will have the opportunity to explore Paris before getting the Eurostar back to London in the afternoon. What time is the ferry to Calais on day 1? We generally get the 17:25 ferry with the aim of arriving into Dover at least an hour before. This can be dependent on weather and group ability, however as a general rule we start cycling at 8am each morning. What is the typical average speed? Over the course of the full day it normally comes in at 12 - 15mph but this all depends on the average fitness of the group as a whole. Where are bikes stored overnight? In locked rooms or areas at your hotels. We do recommend you still bring a lock for your own peace of mind. What time do we get back to London on the final day? You will receive a final email before the start of your trip with a final timetable, however arrival back into London is normally between 6pm and 8pm. What breaks do we have throughout the day? We tend to ride for around 20 miles, take a short break, then cycle to lunch at around just after halfway of the total mileage. After lunch we'll then cycle for another 15 or so miles, stop for a short break then continue on to the finish. There will potentially be other shorter breaks throughout the day (waiting at the top of hills etc), but we like to keep everyone moving as much as we can. Do we need any navigation systems or apps? There are hairdryers in most of the hotels we use, yes. Can I join up as a single person and pay extra to have my own room? Yes. 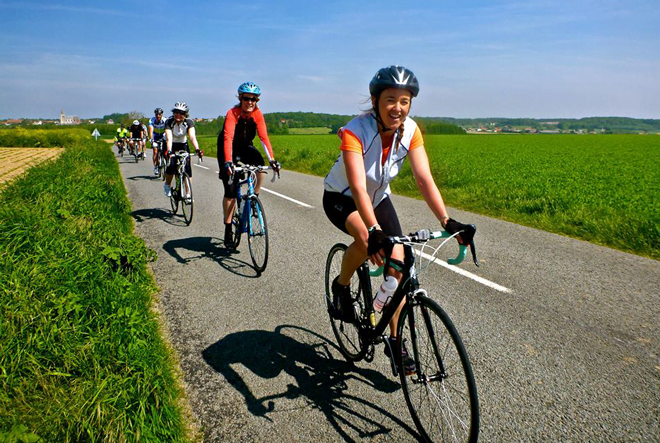 The single room supplement for the London to Paris ride is £190 and can be added upon booking. Can I stay in Paris for extra time at the end of the trip? Yes staying in Paris after the trip has ended is not a problem, however we just need to arrange how you'll get our bike and luggage back to the UK. Option 1 - we'll bring them back as normal and drop them at an agreed address in the UK either immediately the trip has ended or a couple of days after. Option 2 - you take them with you back on the Eurostar/flight home. We can let you know which hotel we'll be staying in but you'll need to book extra nights either there or the hotel you had in mind. The start point is in front of the Clarendon Hotel on Blackheath and the trip ends at St Pancras station. There are a couple of options if you're leaving your car in Blackheath, we'll send out a helpful pdf with details once the trip has been confirmed. Can we hire bicycles for the ride? Whilst we don't rent bicycles, On Your Bike (https://www.onyourbike.com/rental.php) has a selection of bicycles of all standards and are based in London Bridge.